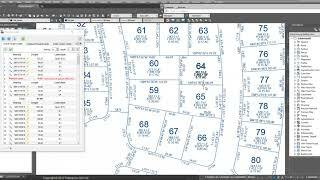 Label Autodesk® AutoCAD® Civil 3D parcels, lines, arcs, etc., in seconds with the most appropriate label style. Includes labeling for Autodesk® AutoCAD® Civil 3D parcels, and full import/export of Civil 3D parcels to/from Map Maker. Includes the Pemulis Parcel Labeler application for Civil 3D. Includes updates and changes to licensing technology.